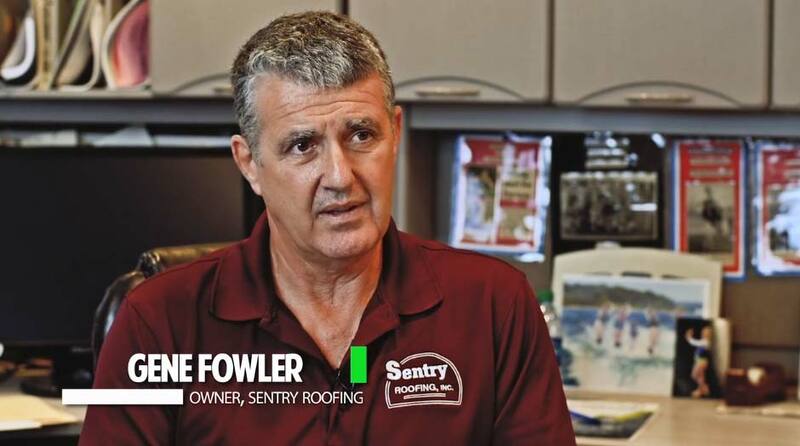 Sentry Roofing: Decades of Award Winning Excellence. 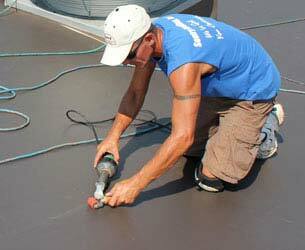 A local leading Duro-Last Roofing Contractor. 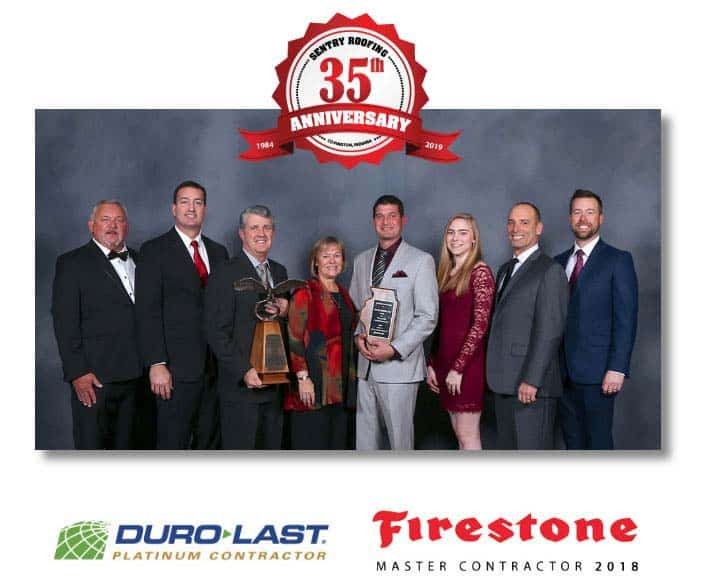 Sentry Roofing, Inc. is an Award Winning Duro-Last® Platinum Contractor. If you are in need of a commercial roofing contractor in Indiana, Illinois or throughout the Midwest look no further then an industry leader with 35+ years of experience. Our roofing crews are professional, polite and highly-trained; ensuring your roofing system will be properly inspected, installed, replaced, maintained or repaired on-time and on-budget. 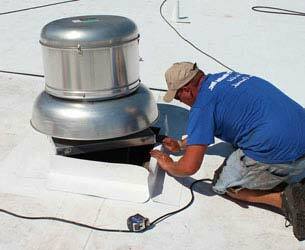 Sentry Roofing, Inc specializes in Inspections, Installations & Repairs for Commercial & Industrial Buildings. 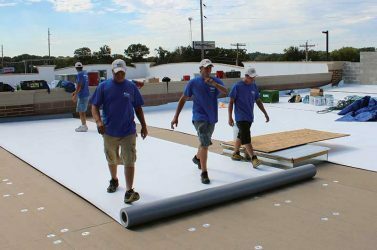 As one of the leading commercial roofing companies in Indiana & Illinois, our goal is to make repairing or replacing your commercial flat roof, metal roof or low-sloped roof a simple, pleasant experience with minimal interference to your facility and staff. We view our work with you as the beginning of a long-term relationship, not just a one time contract to install a new roof. From your first visit with our professional salesmen to the last detail on your rooftop, we promise to make every interaction you have with Sentry Roofing a positive experience. 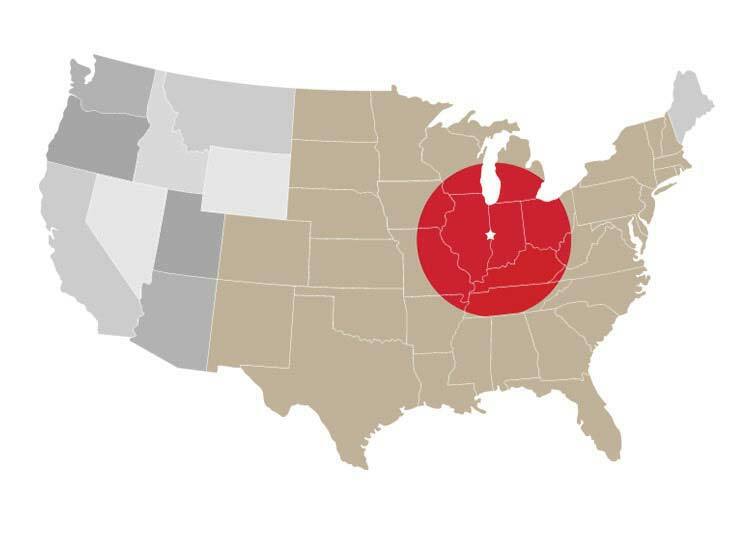 Because we focus on our client’s needs and pay attention to every project detail, on average over 75% of Sentry Roofing’s annual sales are due to repeat business or direct referrals from satisfied clients in Indiana, Illinois & Nationwide. We care for each client and their individual needs as if the building was our own. We will do the same for you. 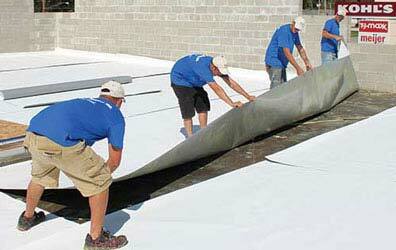 There are two choices to make when the time has come to replace your roof: the roof system and the installation team. System: The key factor in selecting a roof system is not what the roof costs initially, but what the annual cost will be to own and maintain the roof during it’s service life. Paying more for a system that will perform long term, with little or no maintenance costs, will prove to be a better purchase than selecting a cheaper system with a shorter service life and high annual maintenance costs. Annual cost over service life is the key. Installation: The best flat roof system, metal roof system or low sloped system in the world will perform poorly if improperly installed. 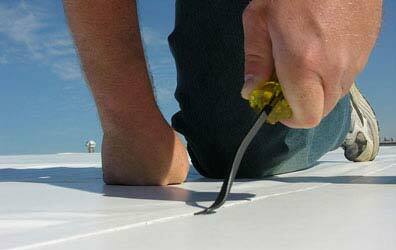 Many things can go right or wrong during a roof installation. Our commercial roofing company specializes in re-roofing businesses, schools, plants and facilities of all types that are fully staffed and in operation. We know how critical it is to plan ahead, communicate with you daily and take proper precautions to protect the facility, your staff and visitors. We watch the weather constantly and are prepared to keep the building watertight should inclement weather develop. We understand that you’re focused on tasks inside the facility and can’t waste time wondering whether your roof installation will be done correctly. Our commercial roofing company will work with you from a detailed evaluation to dedicated customer service, you will always know what to expect each day as the installation progresses. Our goal is to let you focus on your business with complete confidence that we will handle the roofing project professionally, with attention to every detail, no matter how small. Your complete satisfaction is our highest priority. From your first meeting with Sentry Roofing, you will discover we value your time, respect the needs of your business operations, and the goals you have for your building. Our sales staff will listen to your concerns regarding the facility then conduct a detailed evaluation of the existing roofing system and roof deck. 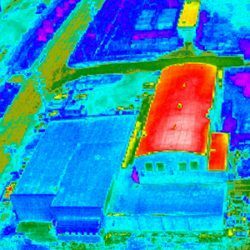 Our detailed proposal will provide supporting documents, including existing roof condition and photos, plan for repair or replacement, including an accurate cost estimate, sample of manufacturer’s warranty, and client referrals. During construction, we will communicate with you daily and immediately respond to any questions or concerns you may have. 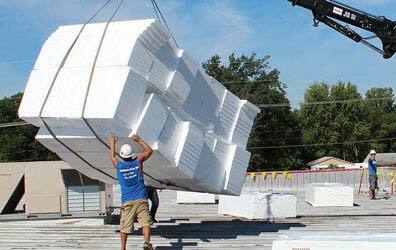 Are you a General Contractor looking to partner with a roofing contractor? Indiana: Indianapolis • Carmel, Terre Haute • Lafayette • Crawfordsville, Covington, Greencastle, Lebanon, Brownsburg, Avon, Plainfield Illinois: Champaign, Urbana, Danville, Paris, St. Joseph, Oakwood, Hoopeston, Monticello Not located in Indiana or Illinois? We also service other states located in the Midwest. Please contact us for more information.